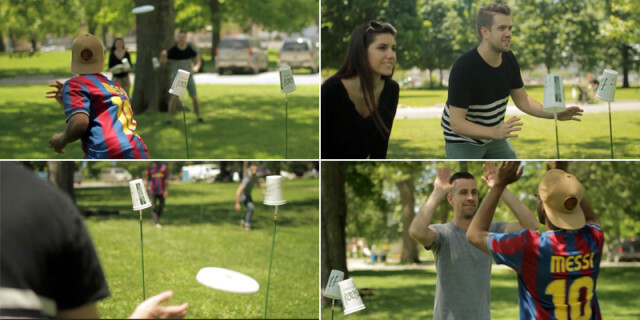 Flimsee is a simple lawn game in which two teams try to knock their opponent’s plastic cup off the top of a pole using a frisbee. Inventor John Mally first conceived the idea back in 2008 during a frisbee match, when he saw a disc knock a cup off a snow pole. 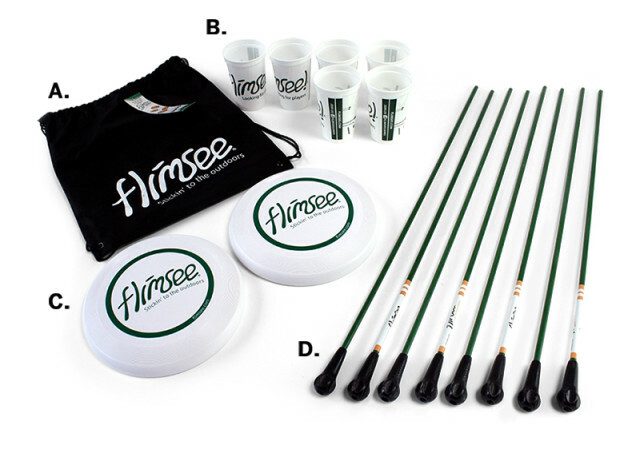 Six years and several prototypes later, the original Flimsee kit has become a cult favorite among a loyal community of lawn gamers, tailgaters, and disc enthusiasts nationwide. These are the official Flimsee Rules, noted carefully for maximum fun, and the highest levels of competition. 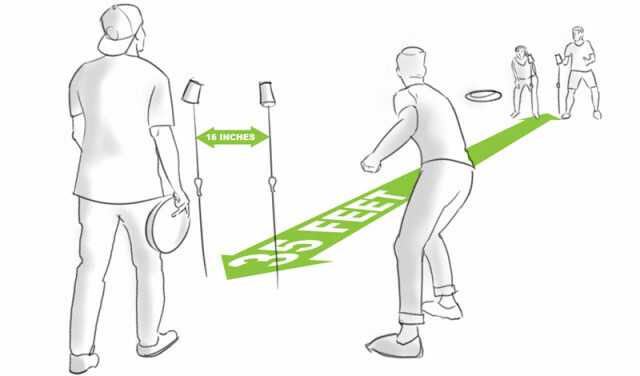 Each player on the throwing team throws one disc. When they finish it is the other team’s turn. The offense earns ONE point for each of their opponent’s Cups that are knocked to the ground, even if the disc does not make it on the fly. First team to twelve (12) points is the Winner! Teams do not need to win by 2 and it becomes sudden death if opposing team reaches 12 points on final throw.